Palomino, 콜롬비아의 파로 호스텔 팔로미노 | 호스텔월드에서 예약하세요. 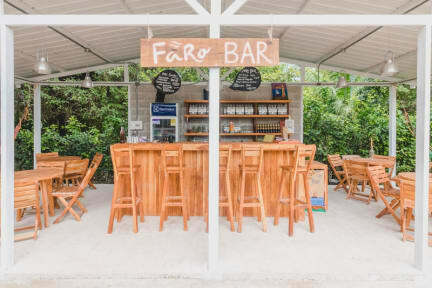 Faro Hostel Palomino atmosphere is very friendly and familial, where you'll be taken care of like nowhere else. The Rio Palomino (Palomino river) divides the Colombian regions of Magdalena and La Guajira and Palomino itself sits just on the edge of the La Guajira side.Palomino Colombia has one main road running through it where you will find a couple of gas stations and some local restaurants, bars and stores.Then there are a number sandy roads which branch off the main road and lead down to the beach or river. Free WiFi is provided throughout the property and free private parking is available on site. Some units include a seating area for your convenience. Enjoy a cup of coffee from your terrace or patio. The rooms come with a private bathroom. 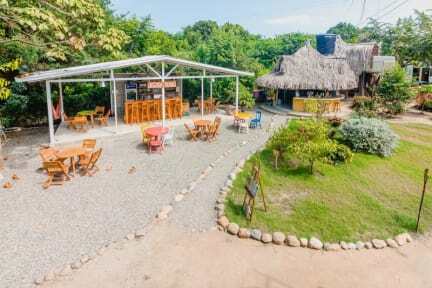 The facilities include a Bar, a small restaurant with snacks and food, hammocks to relax. Cancellation policy: 48 hours before arrival for a full refund. First night charged within the last 48 hours. Full charge in case of no-show without notice. Payment upon arrival by credit cards.